March is here and with that we are feeling Spring in the air. This year heralds a very special celebration for Ford. 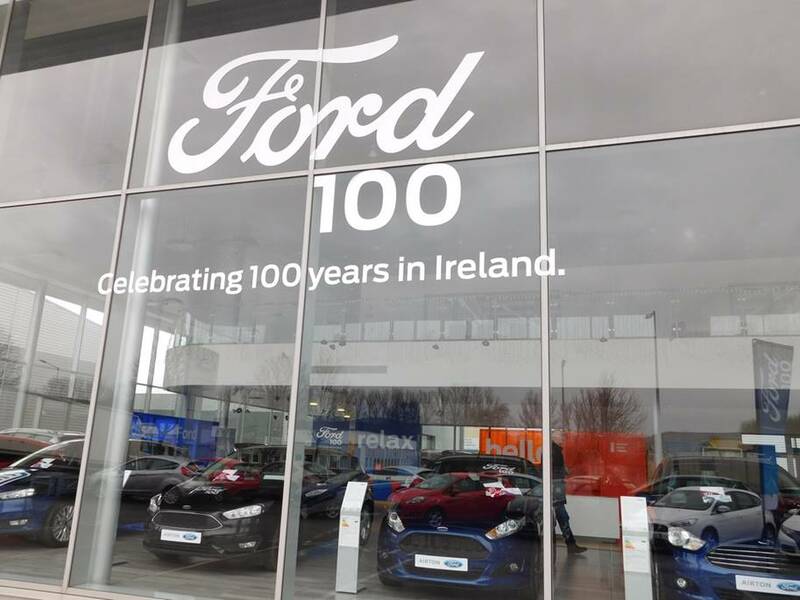 They are celebrating 100 years in Ireland and we recently partnered with Ogilvy & Mather, advertising agency as part of their overall campaign. 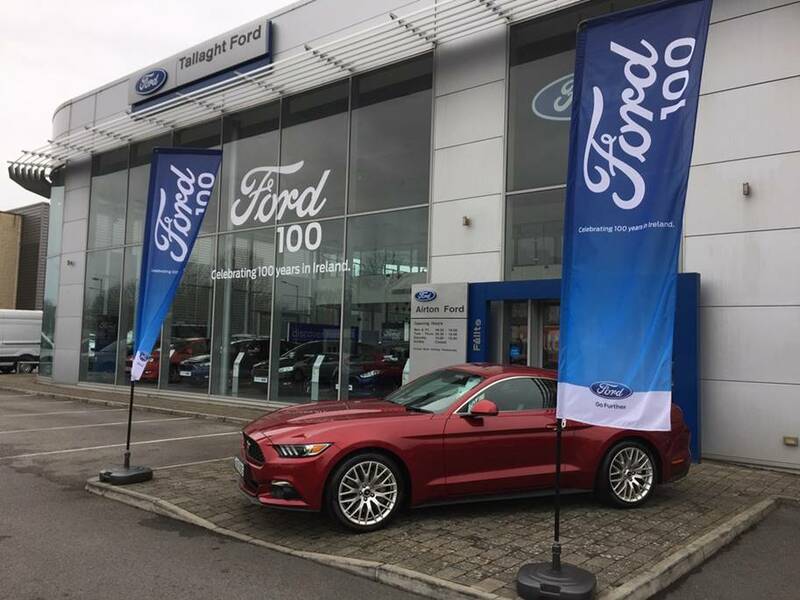 To kick off the year of special events, we were responsible for the showroom branding to inform and interest the general public, coinciding with a full national advertising campaign across radio, press, cinema and online. The campaign highlights the pride of Henry Ford that both his father and maternal foster grandfather were from Cork. So when it came to opening his first factory outside of the US, he chose the Marina, down by Cork docks. Ogilvy & Mather created the campaign as well as a 60 second video to promote the year of celebration. 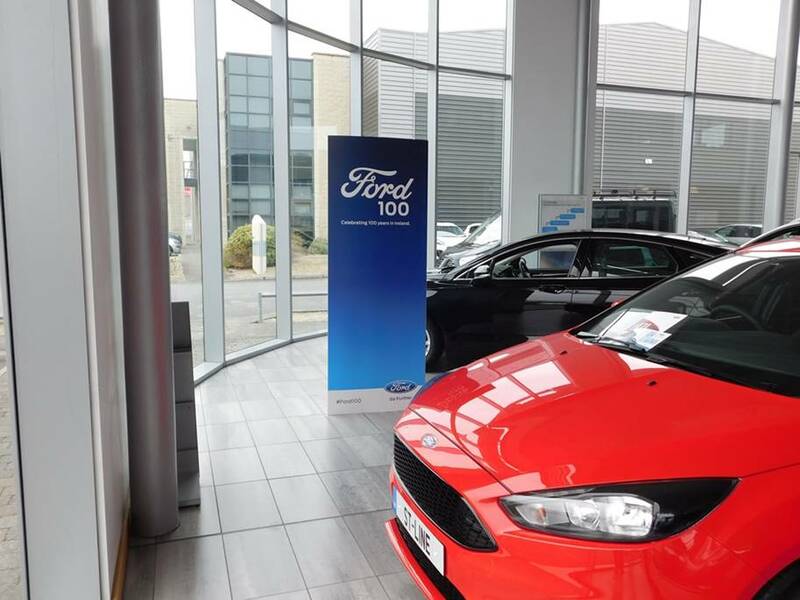 To begin, we performed a survey at each of the 52 dealerships in Ireland. The final report gave Ogilvy & Mather and Ford a comprehensive break down that allowed them to decide on the branding items required for each. From here, we worked on producing the finished products. These high-quality items presented a unified campaign that solidified the brand and showcased Ford’s 100 years’ celebration. They included cut vinyl window decals for the showrooms, as well as toblerone stands (named for their triangular shape), pull up stands and A3 strut cards. Some unique finishing touches included 3.5m high flags with poles and bases and, finally, eye-catching A3 car windscreen self clings. This was a fantastic project to be involved with and we are looking forward to the events taking place throughout the year. If you have any questions or interest in our full range of outdoor and interior branding, get in touch with the team today.